Mr. Kelvin Lim is a Controlling Shareholder of the Group. Mr. Kelvin Lim has been appointed as an executive Director and chairman of the Company on 10 July 2014 and was last re-elected on 23 January 2017. 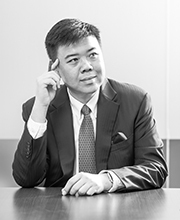 Mr. Kelvin Lim is currently the group managing Director and a member of the nominating committee, and also a director of all of our subsidiaries other than MQ Furnishing, HLA Holdings (Thailand) and HLA Container Services (Thailand). He has 19 years of experience in the property leasing business, including over ten years of experience in the logistics services and facilities management business. 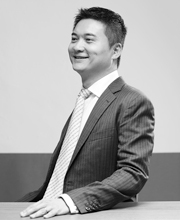 Mr. Kelvin Lim started his career in HN Holdings Pte. Ltd. (formerly known as Hean Nerng Holdings Pte. Ltd.), a property management company, as a manager in July 1997, and subsequently promoted to the position of executive director in November 1998. Mr. Kelvin Lim joined the Group in February 2001 and is primarily responsible for the business development and overall management of the Group. He also oversees the Group’s investment activities, operations and marketing efforts. Mr. Kelvin Lim has also been appointed a patron of the Bukit Batok East Citizen’s Consultative Committee since January 2016, chairman of the Bukit Batok East Community Development Welfare Fund since September 2014, consultant to the Youth Wing and vice chairman of the Singapore Lim See Tai Chong Soo Kiu Leong Tong Family Self-management Association since 2017, member of the Lions Club of Singapore Nee Soon Mandarin since September 2004 and member of the general council of the National Arthritis Foundation of Singapore since December 2013. He was awarded the public service medal (Pingat Bakti Masyarakat) in 2012 for his contributions to society. Ms. Jess Lim is a Controlling Shareholder of the Group. Ms. Jess Lim has been appointed as an executive Director of the Company 10 July 2014 and was last re-elected on 28 January 2016. 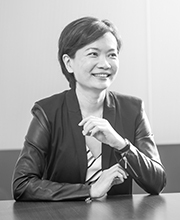 Ms. Jess Lim is currently the group deputy managing Director and a director of all of our subsidiaries other than LHN Xiamen, MQ Furnishing, PT HN Group, PT Hub Hijau and LHN Parking HK. She has over 20 years of extensive and varied experience in business and supply chain management, comprising of over 15 years of experience in the leasing and facilities management business, and over ten years of experience in the logistics services business. Prior to joining the Group, Ms. Jess Lim was a planner with Hewlett Packard Singapore (Private) Limited between 1996 and 2002, where she was responsible for the scheduling of the worldwide production plans of ink cartridges. She joined the Group in 2002 and is primarily responsible for the corporate development and overall administration for the Group and oversees the Group’s finance, human resource, information systems and administration functions. Ms. Jess Lim graduated with a Bachelor of Business Administration degree from the National University of Singapore in August 1996. She also obtained an Executive Diploma in Directorship from the Singapore Management University and the Singapore Institute of Directors in June 2015. Ms. Ch’ng Li-Ling has been appointed as an independent non-executive Director on 10 March 2015 and re-elected on 28 January 2016. Ms. Ch’ng is our lead independent Director for the purposes of the Catalist Listing Manual. She is currently the chairlady of the remuneration committee and member of the audit and nominating committees. Ms. Ch’ng has been a partner in the capital markets practice of RHTLaw Taylor Wessing LLP (‘‘RHT Law’’), a Singapore law firm, since May 2011. For 17 years, Ms. Ch’ng has been a corporate practitioner whose areas of practice include corporate and securities laws, capital markets, mergers and acquisitions, regulatory compliance and corporate governance advisory. She has been named one of AsiaLaw Leading Lawyers in 2014 and 2015 (Capital Markets), and was recognised as ‘Leading Lawyers’ in the 2011, 2013–2017 editions of International Financial Law Review 1000 (IFLR1000). Ms. Ch’ng started her career as a legal associate at Wee Ramayah & Partners from 1997 to 1998 and as a legal associate at Edmond Pereira Law Corporation (previously known as Edmond Pereira & Partners) between 1998 and 2000. She was a legal associate at Loo & Partners between 2000 and 2001, and joined KhattarWong LLP (previously known as KhatterWong & Partners) in 2001 where she worked till 2011. Her last-held position at KhattarWong LLP was a partner of its Corporate and Securities department. She is currently also an independent director of SGX-ST listed DeClout Limited and Anchor Resources Limited. 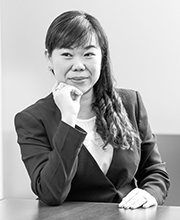 Ms. Ch’ng has been a member of the Singapore Academy of Law since 1997, a legal practitioner (non-practising) of New South Wales, Australia since 2002 and a qualified solicitor of England and Wales since 2009. Ms. Ch’ng was appointed adjunct assistant professor by the Faculty of Law of the National University of Singapore for a semester each in the academic years 2009/2010 and 2011/2012. Ms. Ch’ng graduated with a Bachelor of Arts (Honours) degree from National University of Singapore in July 1994 and obtained her Bachelor of Laws (Honours) (distance learning) and Master of Laws (Merit) (distance learning) from the University of London, United Kingdom in August 1995 and August 2011, respectively. Mr. Eddie Yong has been appointed as an independent non-executive Director of the Company on 10 March 2015 and re-elected on 28 January 2016. Mr. Eddie Yong is currently the chairman of the Nominating Committee and member of the Audit Communitee and Remuneration Committee. He has been the managing partner of Equity & Land LLP since September 2013, a limited liability partnership that provides advisory services in equities and real-estate investments. 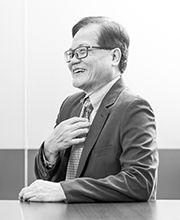 Mr. Eddie Yong has 40 years’ experience in the real estate business ranging from land acquisition, planning and development, marketing and asset management. He started his career as a land officer and centre manager responsible for land acquisition and property management at the Urban Redevelopment Authority of Singapore between July 1977 and February 1985, was a property and marketing manager responsible for marketing, leasing and management of properties at Tong Eng Brothers Group, a real estate development and investment company, between February 1985 and February 1987, a director and then a partner at Knight Frank Property Consultancy, a real estate consultancy company, between March 1987 and July 1996, Mr. Eddie Yong held the positions of a director of marketing and business development between August 1996 and December 2004, a deputy chief officer between January 2005 and January 2008, a chief operating officer of the corporate real estate business group and executive director of Far East Organization between July 2008 and December 2011, and an executive director of investment properties of Far East Organization between January 2012 and July 2013 at the Far East Organization. He also served as an executive director between July 2008 to April 2012 at SGX-ST listed Far East Orchard Limited (formerly Orchard Parade Holdings Limited). Mr. Eddie Yong was the deputy chairman of the industry and development committee and board member of the Singapore Corporation of Rehabilitative Enterprises between September 1996 and August 2013. He served as the management committee member of Real Estate Developers’ Association of Singapore between 1997 and 2009, holding various positions including honorary treasurer and honorary secretary. Mr. Eddie Yong was awarded the public service medal (Pingat Bakti Masyarakat) in 2010 for his public service contributions. Mr. Eddie Yong holds a Master of Science (Property and Maintenance Management) degree from the National University of Singapore in March 1992 and a Bachelor of Science (Honours) degree in Urban Estate Management from Liverpool John Moores University (previously known as Liverpool Polytechnic), United Kingdom in July 1983. He has professional affiliations with the Singapore Institute of Surveyors & Valuers since 1986, The Chartered Institute of Marketing since 1989 and the Institute of Real Estate Management (USA) since 1994. Mr. Chan Ka Leung Gary (‘‘Mr. Chan’’) was appointed as an independent non-executive Director on 5 June 2017. Mr. Chan is the chairman of our Audit Committee and a member of the Remuneration Committee and Nominating Committee. He is a seasoned finance executive and an entrepreneur. He has advised companies across various disciplines and industries including consumer products and services, financial services, food and beverage, logistics, media, renewable energy, recruitment services, and technology. In 2014, he joined CFO (HK) Limited, a company licensed by The CFO Centre Group Limited to provide services of time-shared chief financial officers to client companies in the Greater China region and is currently the Greater China chief executive officer. Mr. Chan was also the corporate finance director of TNG (Asia) Limited, a financial technology company based in Hong Kong, between April 2015 and February 2017. He has assisted in the company’s successful application of the stored value facility licence to the Hong Kong Monetary Authority (‘‘HKMA’’), with the licence being granted in August 2016. During the process, Mr. Chan has overseen the process of fulfilling all the necessary business requirements set out by the HKMA including internal controls and placement of its senior management team.